Where Can You Off Road Legally? 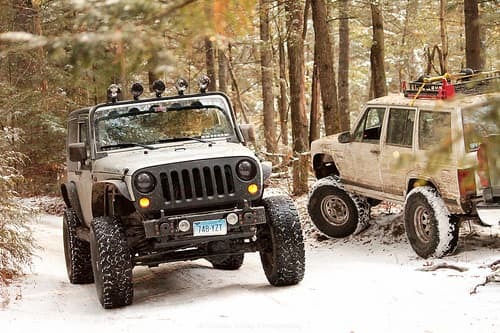 There are many people that own four wheel drive vehicles, but that are unsure where they can drive off road legally at. Some people end up making costly mistakes by trying to do so without researching to find out the places that off road driving is allowed. By taking a little bit of time and doing a little bit of research a person can minimize the chances of being fined, ticketed, or even jailed for riding off road in their four wheel drive vehicle.Places that typically do not allow four wheel drive vehicles to drive off road. There are many places that are attractive to off road drivers, but these drivers should think before they drive or it could cost them big bucks! First, unless a state park has a sign stating that it is acceptable to drive off road in the park it is not advisable to do so. There are many state park rangers that patrol the area, and are waiting to give people fines for breaking park rules. Some people do not take these rangers seriously. Make no mistake, these rangers have all of the authority within the park that they need to fine a driver, ticket them, impound their vehicle, and even detain them until state troopers arrive. Next, some people are enticed by land that they see while driving that has the perfect geography for off road driving. In this case, a person should always seek the permission of the land owner before embarking on any four wheel driving on the property. Failure to do so can be looked at as trespassing and is a criminal offense. Lastly, many people think that beaches make the ideal place to have fun driving off road. Although this is true, it is important to note that many public beaches do not allow vehicles on the beach. There are some that do, with a permit, and it would be wise for a person to check with the beach personnel to find out what their rules are. Where can a person drive off road legally? There are many places that a person can drive off rad legally if they take the time to research. There are many off road driver clubs that host events that people can join to test their off road skills. There are also some public beaches that allow off road driving. Some private landowners allow off road driving on their properties for a nominal fee. There are also many inhabited places that people can off road drive as well such as salt flats, deserts, and gravel pits. It is up to the driver to make sure that the place that they select is safe, and legal, for them to drive at.